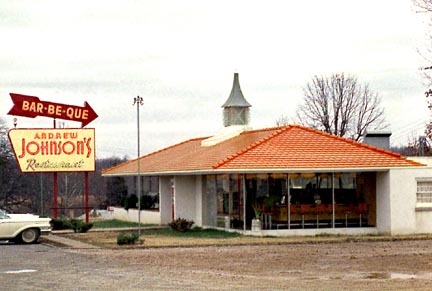 Since Howard Johnson's Restaurants were so popular, they were often imitated in an attempt to lure unsuspecting motorists off of the road. 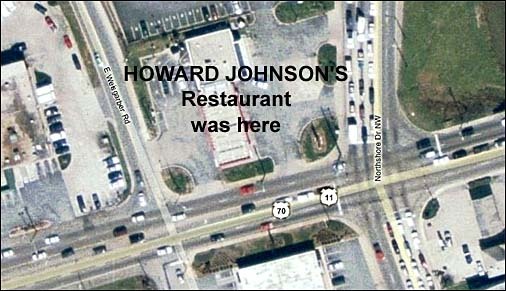 Called Andrew Johnson's Bar-Be-Que, this restaurant was NEVER a Howard Johnson's. Nonetheless it featured a Nims-type building with an Orange Roof, a Dairy Counter, and a Trapezoid sign that used HoJo's stylized art deco lettering and "Restaurant' in script! 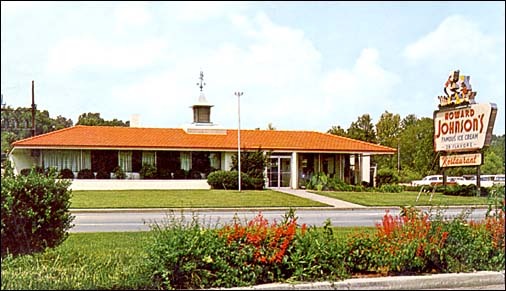 Even the cupola looked remarkably like one that would have been found on circa 1950s Howard Johnson's--just the top was different. Built in the early 1950s, this stand-alone location existed for nearly 20 years. 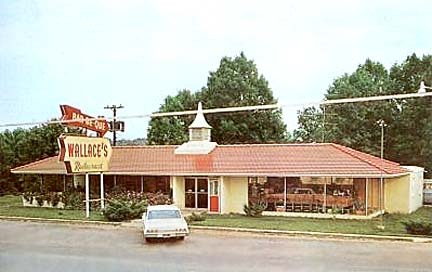 After the Knoxville-West Motor Lodge and Restaurant complex opened, it managed to coexist at its nearby location for only a couple of years. Finally it was demolished, and an Exxon/convenience store came to occupy its former site. 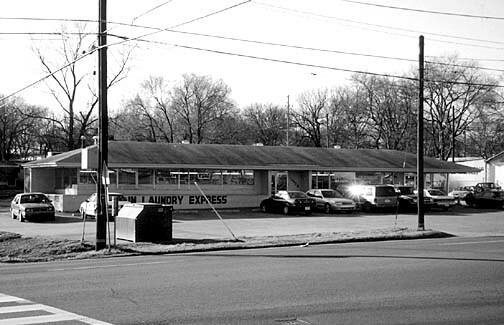 No exact street address was ever listed for this circa 1950s Nashville area stand-alone Restaurant so tracking it down proved difficult. 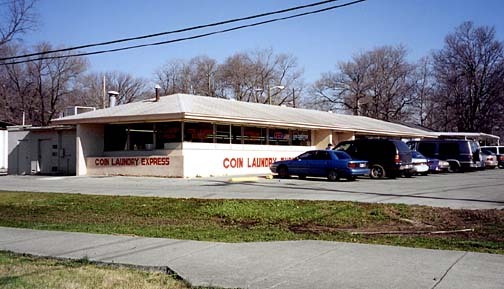 Phil Edwards discovered the Coin Laundry Express which was located in an area where the HoJo's may have been. 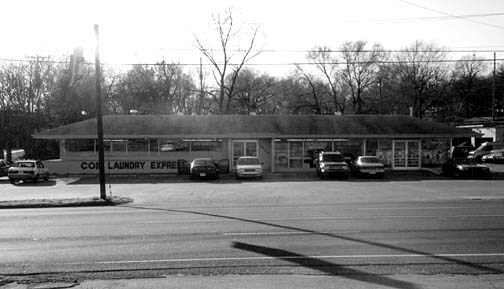 The Laundry Express building shares many similarities with a typical Nims-type building, but looks to have suffered from several modifications over the years.